I know, I know it’s a little late…but I’m giving it the ole college try anyway. 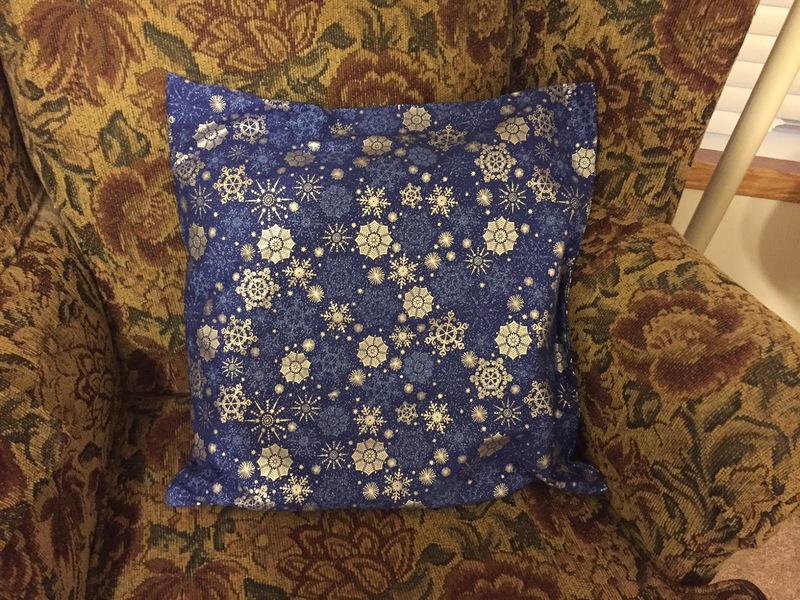 My youngest wants Christmas pillows. I suggested that she just get covers because she is short on storage space. She loved the idea so we went shopping on Saturday and she picked out fabric for her pillow covers. I am making them for she and Stephen for Christmas. So, I made the first one. I still need to add a trim, just haven’t decided if I want to put tassels on it or just do some top stitching. They decorate with a lot of blue for Christmas. Samantha is slowly introducing red and green into the mix. I’ll post the other pillows as I finish them. My friend Iris and I are working on a sweat shirt jacket. So I am working on the pillows in between when we are working on that.